“…and switch the cooker off”. Why not: “…and switch off the cooker”? At least in this case, the latter one sounds better to me (and this even though the German (my mother tongue) equivalent is a verb that needs to be split (“… und schalte den Herd aus“)). Switch off, hand sth over, grow up, run away, put sth into… are examples of so called “phrasal verbs” (PV) – combinations of verbs and prepositions/adverbs/prepositions and adverbs. Transitive PV can be either separable (also “splittable”) or not, while intransitive PV are inseparable. Transitive PV containing adverbs are called “particle verbs” (PaV). 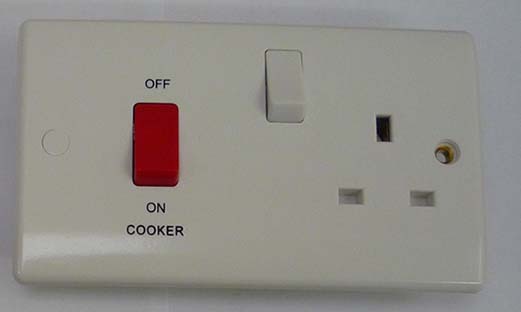 If the object is a simple noun it can go on either side of the adverb, so both, “to switch the cooker off” and “to switch off the cooker” are acceptable. Long NP on the other hand tend to come after the adverb, so if the NP in our example was “the dirty, smelly cooker” you’d rather not split the verb and say “to switch off the dirty cooker in the kitchen” (instead of “to switch the dirty cooker in the kitchen off”). I started a (fb) poll asking people what they would rather say… so far 3-2 for “to switch off the cooker” (I will keep you updated). (Even though there’s no right or wrong here, it’s still interesting to see whether there might be some tendency (not to split the verb? Maybe Edinburgh University’s Student Accommodation should revisit their signs… 😉 )). Apart from those a little more “flexible” transitive PaV, there are also inseparable ones (e.g. “to break up”, “to come apart”…) and such that require a split (“to take sth apart”, “to let sth through”…). A rule governing all transitive PaV is that if the object is a pronoun, the verb has to be separated so that pronoun precedes the adverb. =D This is something I’ve dicussed with people from around the world before. I tend to find in Scotland, we are more inclined to put the “prepositional part” at the end when it can. It would sound unnatural for me to say “Switch off the cooker” I’d almost always say “Switch the cooker off”. This may be in part down to Scots language spoken in my area. I do tend to find that English people are more inclined to keep the prepositional part joined to the verb. However another point would be in Scotland, we code switch, from broad scots -> to scots- english depending on the speaker. So I wonder if this is also affected, depending on who you are speaking to. And yes there are some verbs you just can’t do this to, if some said to me “Look the children after” I’d think they had an issue with their schooling ;). I have a book called the Oxford Dictionary of English Phrasal Verbs. It lists about ten or so different categories and subcategories of phrasal verbs. Fascinating! So I only just found this blogpost now, but I agree with Allan – for me it feels more natural to say ‘switch the cooker off’. I’m from the North of England, and I must admit I’ve not heard the ‘joined’ version all that much. It might be something to do with the order you get when you’re dealing with pronouns vs. full NPs. So (a) ‘switch off the cooker’ and (b) ‘switch the cooker off’ are both acceptable, but I don’t think you’d hear anyone say (c) ‘switch off it’ in favour of (d) ‘switch it off’ – at least for me, (c) is completely ungrammatical. Maybe the fact that there is much less flexibility in the order when pronouns are involved reinforces the ‘preposition last’ order for some people? This entry was posted on 11/06/2011 by G in Academia, Linguistic Musings and tagged English, grammar, particle verbs, phrasal verbs, separable verbs.